XSEED announced this week that Fate/Extella Link is coming to North America in Q1 2019. Better yet, it’ll be accompanied by a special release. Amazon is taking pre-orders for the Fleeting Glory Limited Edition here. The limited edition comes with a few extra goodies. Fans will be given the game, a soundtrack CD, a pack of 10 collectible cards depicting each of the new Servants, a cloth poster, and an acrylic diorama all housed in a custom box. 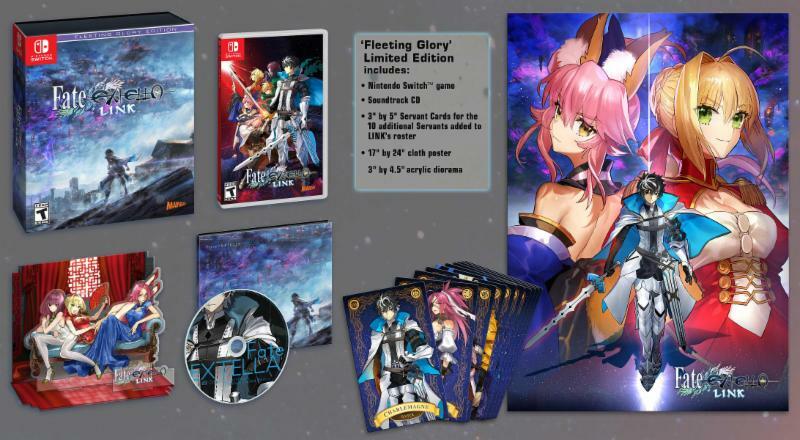 If limited editions aren’t your thing, you can also pre-order a standard copy of Fate/Extella Link on Switch here.